Tales from the Real OC (Really! ): Dark Flame Excerpt #8! OMG!!!!!! i can't wait!!!! shes talking about Damen right? Oooh, is this about Damen? Yea it has to be abt damen.........right??? Jenna & Maysen-- Hmmm, good guess!! Valencia- Thank you so much, I"m so glad you're enjoying the books! As for "copying Twilight" I don't really get that since my books are not about vampires, they're about immortals through alchemy, and they involve chakras, near death experiences, magick, crystals, a mystical dimension,ghosts, time travel, reincarnation, past lives, etc etc, and, to my knowledge ( I only read her first book, not the rest of the series) hers don't. Still, I'm so glad you're enjoying it, and really appreciate your support! Thanks for stopping by! And yeah, it's Damen--good guess! Valencia - your name is so cool! These 4 days better go by fast! I need to read DARK FLAME already! Alyson, you are killing us with these teasers !! In my opinion, this is probably going to be the best bok so far in the series. There is so much ground already laid out and yet so much to explore. I guess it is going to have a darker tone, and not kust because Ever is playing with fire (ehehehe dark flame ...) with all the magick she doesn't understand, but also because of Haven's point of view, which I guess will be a stronger voice in the narrative ! Haven sees things diferently from Ever and is quite enchanted by the dark side and perilous things (liek her attraction to Roman ...). I am guessing it will help Ever lose the two-dimensional-black-and-white approach she often uses. IMO It will be a growth book, which I can't wait for !!!!!! And now since I have officialy rambled too much and made a huge nonsensical post, I finish bay saying: I can't believe I won't be home when Amazon delivers my Dark Flame copy !!!!!!!!!!!! Roberta- Wow, you've made some really good points and I love how you have such a good grasp of the characters & the story & what it's really about! 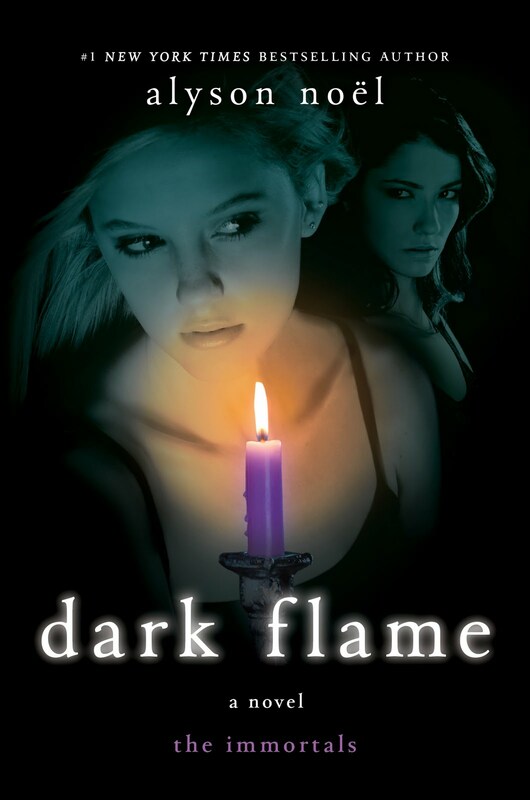 Dark Flame is a little darker for sure, and Ever has a lot to handle in this one--but it's the challenges in life that provide the most growth, right? Hope you enjoy it! Madison- Haha- yep, Damen's still around . . .And thanks so much for the song recommend, I'm off to iTunes . . . Thank God it's Damen!!! I would be heartbroken if it weren't! Only 4 more days! My friends and I are going to get it together! Ms. Noel, I have always liked to read, but your books are truly addicting! When I read Evermore, it got me hooked on this wonderful genre of literature, Dark Romance, and for that I thank you!!! beach_angel21- Oh, that's so cool that you're going to get it together! Thanks so much for your enthusiasm & support--I really appreciate it! Though my bookstore has a weird date posted when they seem to think the book is going to come out . . . haha! Kai- hmmm, would that be July 6? Because that was the original date before they moved it! Is this book going to have a audiobook? And is it going to be in iTunes? Katy- Yes, it'll be in audio & available for download on iTunes! Nah, Alyson, it is just because you are a great author !! You make your point about the characters growth and the story very clearly !! That's one of the things I love about your books: how well you develop your plots !!!!! !